another indie maker I met at the Cocktails&Colors event was the lovely Kendahl from FirecrackerLacquer. She was so nice and sweet and I loved talking to her, she had some amazing polishes on display and I was super excited about the one that was included in the swag bag! It’s the first one of her brand that I own so I have no comparison, but I really love this one and I’m sure everything else she does is just as great! 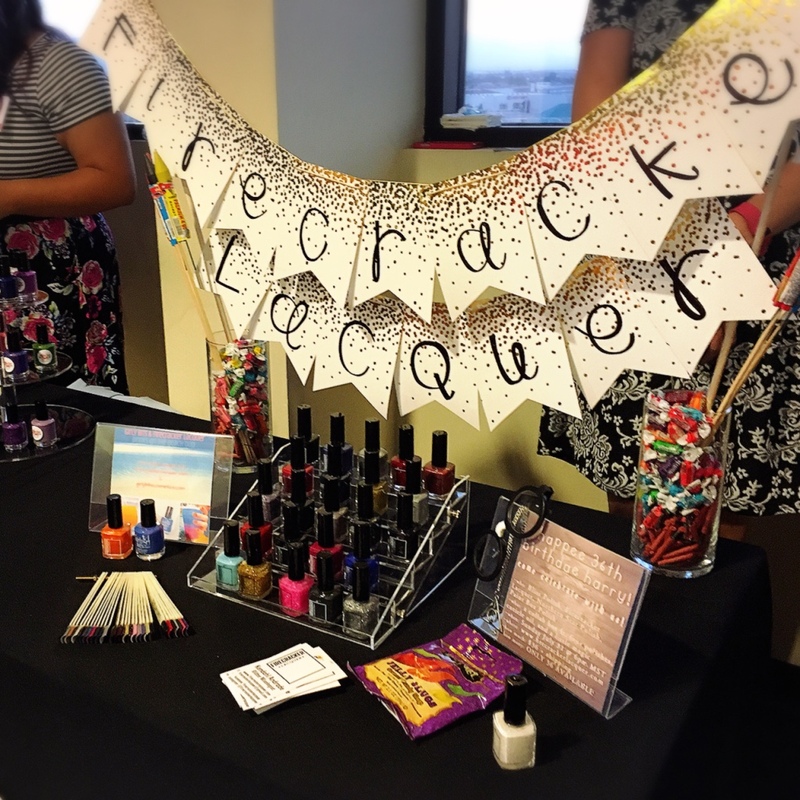 Here is Kendahl’s little display from the event, I loved her banners and I know you can’t see in the picture properly, but she decorated the stands for the banner with actual firecrackers, so fun! 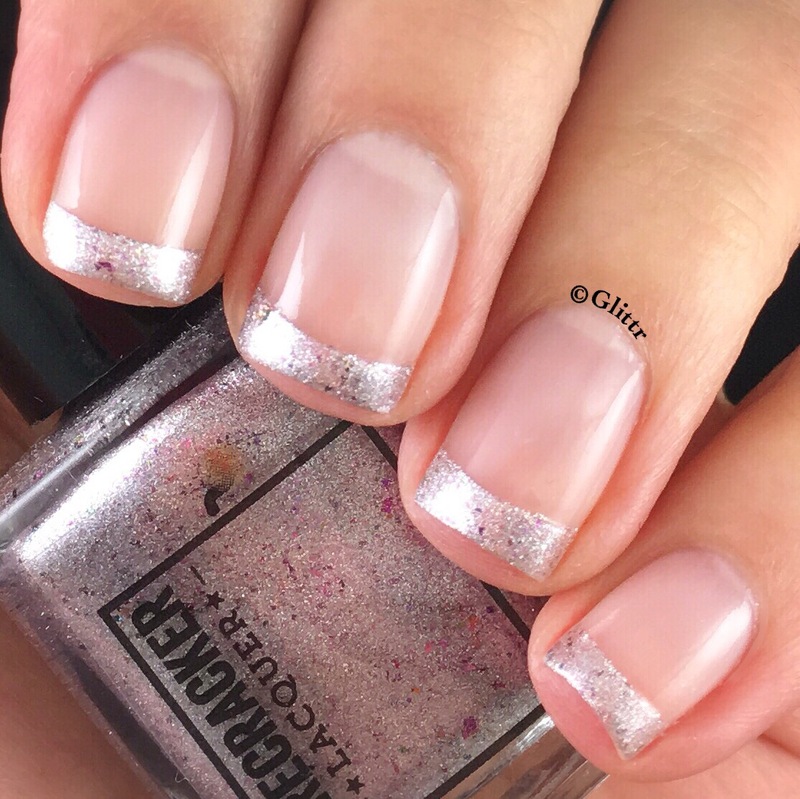 The polish I received is called I Plead The Fifth and is a gorgeous, light lavender-y/silver holo with tiny gold and purple flakies in it – absolutely stunning!! I used two coats of Essie Sugar Daddy as my base and Twinkled T french tip or slant vinyls to create the french tips. I’m sure this one would look just as gorgeous in a full manicure, but I had this idea in my head and I love the outcome! 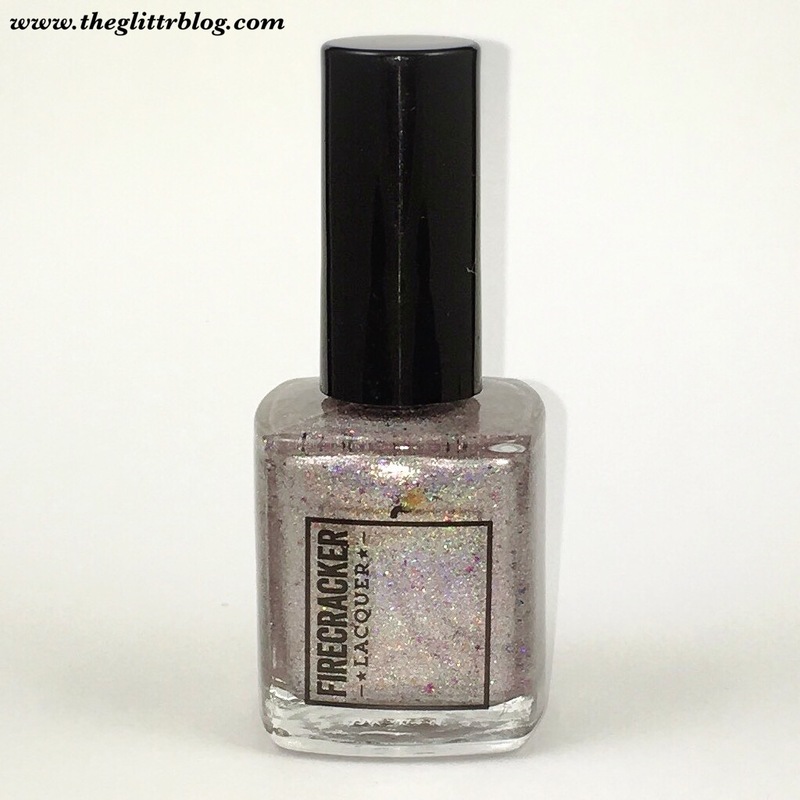 I hope you enjoyed this post and definitely check out Firecracker Lacquer for some beautiful indie polishes!